Let’s place ourselves back in 2012. Two cousins from Ourense decide to open their own business in order to reflect on it the know-how they have acquired alongside leading professionals in their sector over the years. 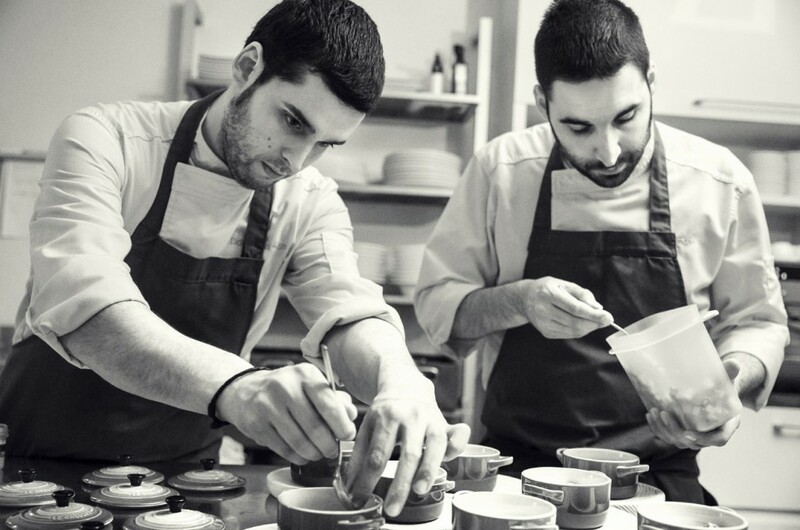 So far this story seems to be one among many other entrepreneurial adventures but in this case we have a great nuance: the protagonists are Julio Sotomayor and Daniel Guzmán –son of the renowned chef Tito Guzmán–, chefs in the restaurant NOVA Ourense whose work has just been recognized with a 2015 Michelin Star. The extensive experience of the managers of NOVA guarantees the quality of their services. Julio and Daniel studied together and both worked in important companies in the catering world. The first, has experience as a chef at the Monastery of San Clodio and at the prestigious Thalia Hotel in Prague. His cousin Daniel worked with the renowned chef Santi Santamaría at Can Fabes restaurant in San Celoni which was awarded 3 Michelin stars belongs to the list Relais and Châteaux. Besides this, he commanded two kitchens in the Paradis Group and worked in Santiago de Compostela with the chefs Marcelo Tejedor and Iván Dominguez and he also participated in the V Televisión program “Ata a Cociña…!”. 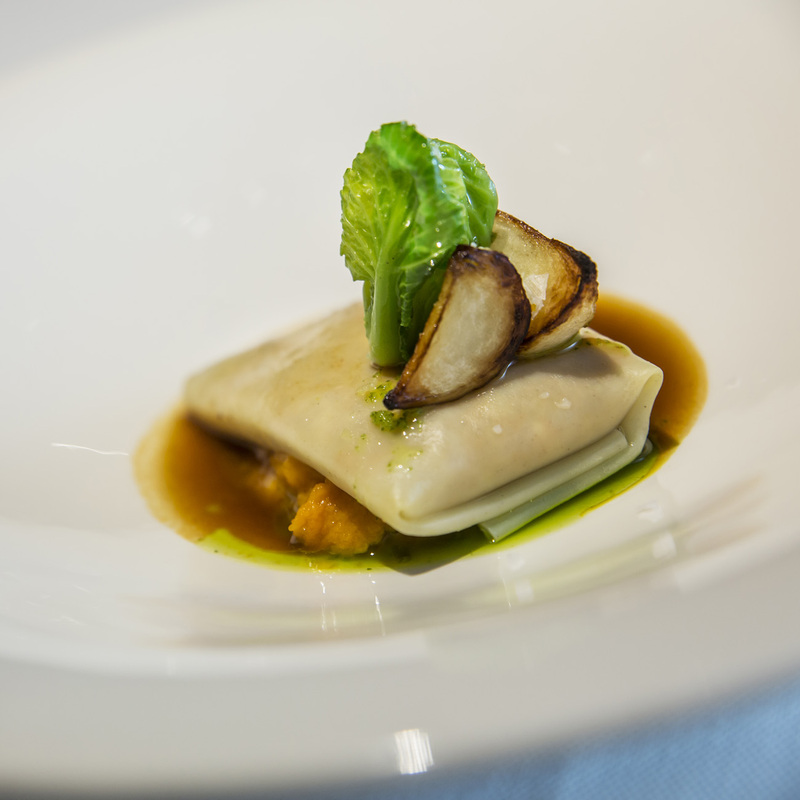 NOVA restaurant presentation clearly reveals the premises of its cuisine. First of all the product is the most important thing so everything else depends on it. Sotomayor and Guzmán are alaways looking for a sustainable and seasonal product which makes the dishes change adapting to different materials whose quality reaches its peak at a specific time of year. Thus there is no menu but it varies depending on the time in which we find ourselves, a novelty that fits perfectly with the restaurant’s name. Moreover, the NOVA’s cooking is based on the Galician “roots” so each one of the dishes is inspired on family traditions of our territory. This warm and homey touch is also seen in the relationship between the professional and the customer beacause the kitchen stays open at all times to the dining room so that diners can observe firsthand the creativity of each of the recipes and the variety of its ingredients. 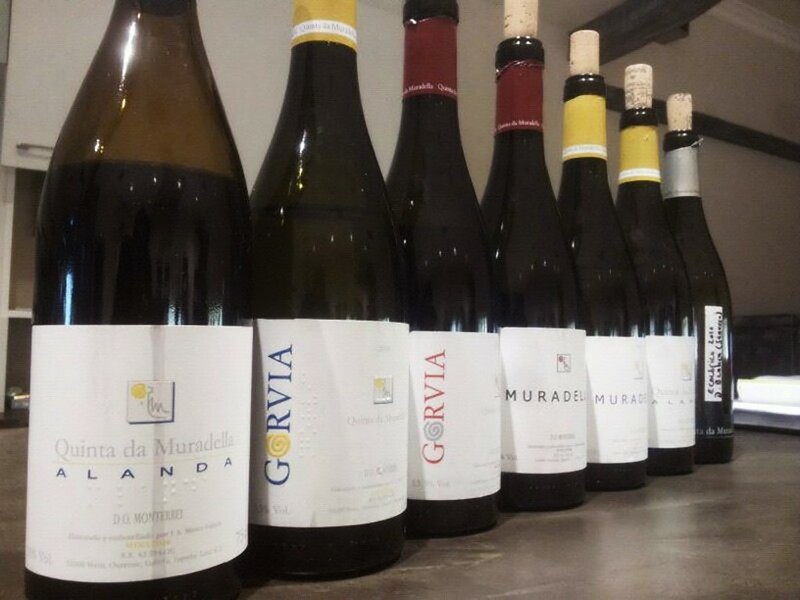 Besides the kitchen, bar and dining room, NOVA has a warehouse consisting of products from strains of small growers in the area who look carefully the quality of the fruit. And, far from being limited only to gastronomic products and services, the restaurant has a cultural space called arteNOVA in which Galician artists can exhibit their works if they request it. All this adds to NOVA a multidisciplinary character which along with the careful presentation of the dishes and the heterogeneity of its proposals has made it emerge as one of the most prominent restaurants both inside and outside our borders.